Think you can't have it all... think again! This amazing two story home is about to knock your socks off and then some! Upon arrival you'll fall in love with the perfect neighborhood, tucked away off the beaten path, yet close to all the amenities Ankeny has to offer. If that doesn't impress you the fenced yard, professional landscaping and 5 car garage surely will! The curb appeal doesn't end at the curb! 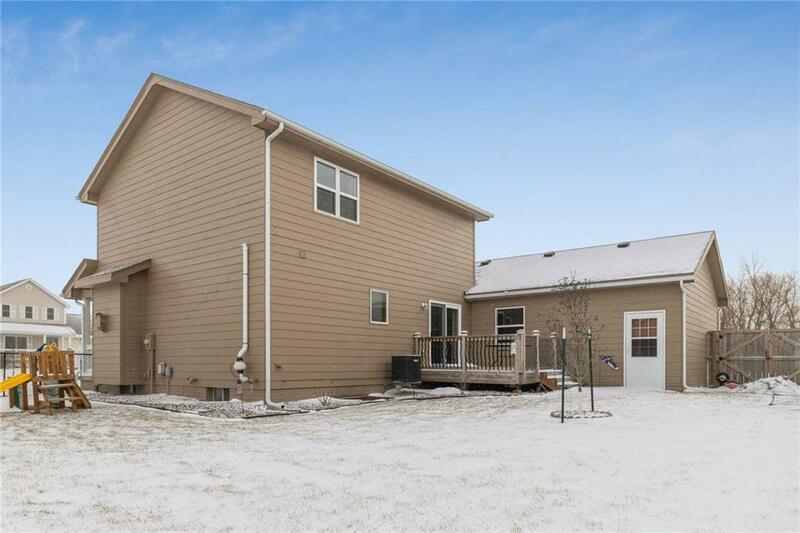 Inside you will find a home that has been meticulously maintained and truly loved, offering 3 bedrooms, 3 and half baths, main level laundry room and a finished lower level perfect for a man cave, family room or 4th bedroom complete with egress window and a bathroom. This one of a kind home has many special features including, water softener, new deck, new appliances, barn wood walls, custom bar in lower level & 220 power to the garage build to be anyone with toys, dream come true. With far too many special features to mention this home sweet home is a MUST SEE and wonât last long!